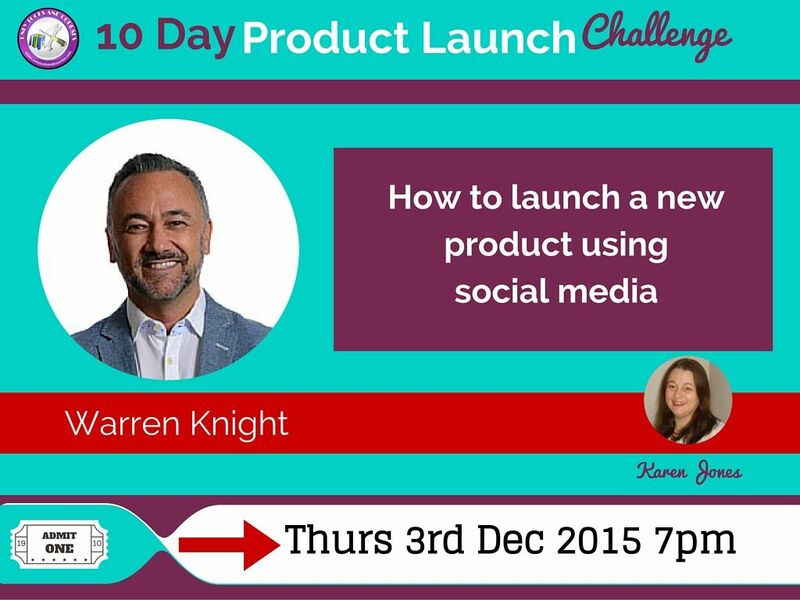 This is part of a 10 DAY PRODUCT LAUNCH CHALLENGE with 12 Expert speakers, Karen Jones, Amanda Dodd, Geoff Owen and Rebecca Jones. Signing up to my online training will also get you access to 10 days of amazing content from the best internet brains in the UK to help you launch your business in 2015. TALK DESCRIPTION: This online presentation will take you through the 4 simple steps to help you launch your product and business online in 2016. You will learn how to define your business online, create shareable content that builds a community and drive sales and which is the best social network for you and your audience and then action you plan with a “go to market strategy and a unique social media into a 7 day plan for success, with an actionable checklist to help you stay consistent with your brand message. UPGRADE (£50 off): If you want to upgrade, I’ve got a £50 off code “warren2015” so for just £47 you can get access to all 12 hours and 12 experts sharing how to launch a product and grow a business in 2016, which is amazing value. Get your FREE ticket to my last online training for 2015, please click here to reserve your seat.